In South East Devon we are lucky to have a whole range of different landscapes here for us to enjoy. Whether it’s rare heathland, our beautiful coastline or lively estuary, there really is something for everyone. A huge variety of protected wildlife lives, rests and feeds on our precious coast and countryside. Find out more about these special places. Dawlish Warren provides the main roosting site for huge numbers of wading birds and wildfowl that spend the autumn and winter on the Estuary. The Warren is also valued for its mobile and fixed dune grassland, humid dune slacks and the tiny, rare 'Petalwort' that grows there. As well as fixed and mobile dunes, there are meadows, copses, reedbeds, ponds and saltmarsh here - and the whole sandspit is of considerable geomorphological interest. The Warren was designated a Local Nature Reserve in 1978 and was then designated a National Nature Reserve in 2000. It has been an SSSI since 1981, and is also a Special Protection Area and a Special Area of Conservation (since 2005). Dogs are not permitted anywhere east of Groyne 9, including the beach, dunes, and mudflats. Dogs are welcome on short leads in the dunes and from the car park up to Groyne 9. Dogs are welcome off lead on the beach between Groyne 3 and Groyne 9. 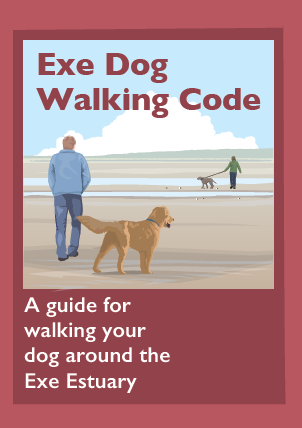 For more information on walking your dog download the leaflet “Walking Your Dog at Dawlish Warren National Nature Reserve”. The site is jointly owned and managed by Teignbridge District Council and Devon Wildlife Trust who work with Natural England to ensure that the whole site is managed for the benefit of the very special wildlife that lives here. The Exe Estuary is internationally important for wildlife and has several designations, including ‘Special Protection Area’ and ‘Site of Special Scientific Interest’ as well as being a ‘Ramsar site’ showing its global importance as a wetland. The vast mudflats are home to an abundance of invertebrate species making the estuary as rich in biodiversity as a tropical rainforest! 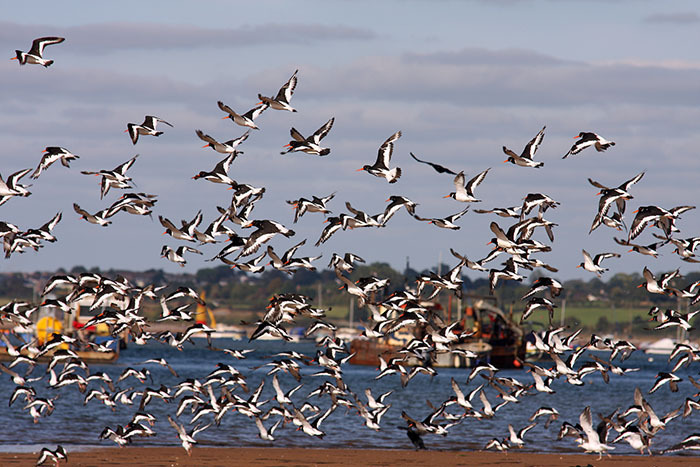 In winter, the estuary is home to thousands of water birds feeding and roosting at Dawlish Warren, Exminster Marshes, Bowling Green Marsh and Exmouth Local Nature Reserve. For more information on the array of wildlife that can be seen on the Exe download the “Exe Wildlife” leaflet. The estuary is also a popular place for water sports, sailing, bait collecting, birding, fi shing and dog walking. It’s important to strike a balance between these many different demands on the estuary, the increasing local population and many visitors, to protect it for future generations. Therefore, two wildlife refuges have been put in place to help everyone continue to use the estuary in harmony. Dog walkers and other users are being asked to avoid the wildlife refuges, which are identified with new yellow special mark and marker buoys, with“WR” in black lettering. Off Exmouth: the refuge protects key feeding areas for a short time during low season, from 15 September until 31 December at all tidal states. 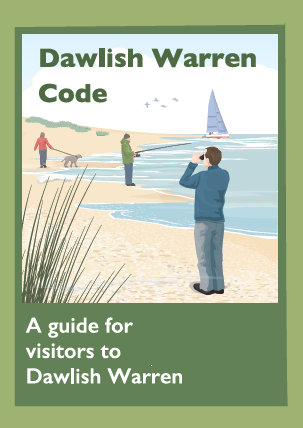 This includes the foreshore, so dog walkers should avoid the area near the duck pond and turn left at the end of the slipway, to avoid the refuge. 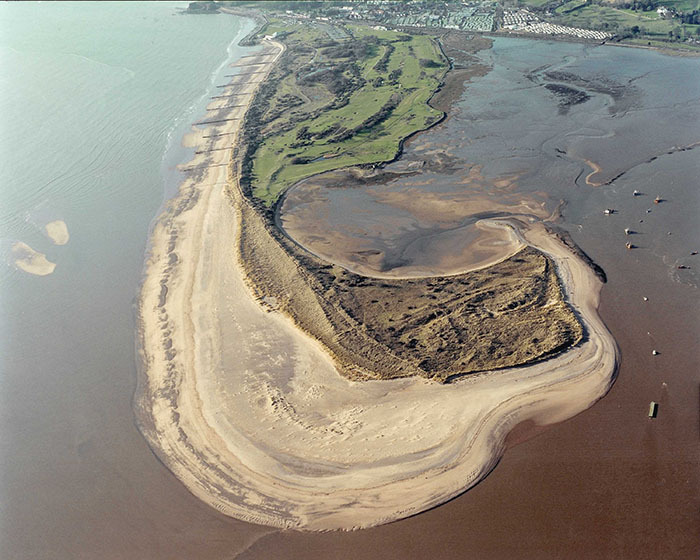 Off Dawlish Warren: the refuge protects the estuary’s key feeding and resting areas all year round at all tidal states. No dogs are permitted near this part of the Warren, all year round. The Exe Estuary is owned and managed by a large number of local authorities and organisations which all come together to form the Exe Estuary Management Partnership . These include Teignbridge and East Devon District Councils, Exeter City Council, Devon County Council, Exmouth and Dawlish Town Councils, Starcross and Woodbury Parish Councils, Lympstone Fishery and Harbour Association, the RSPB, Natural England, Environment Agency, Devon and Severn IFCA, Devon Wildlife Trust, RYA and Powderham Estate. 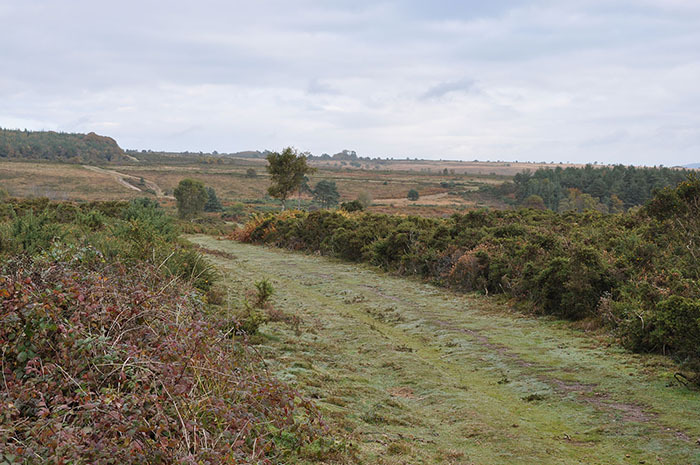 East Devon’s Pebblebed Heaths are located in an Area of Outstanding Natural Beauty (AONB) and include Woodbury, Aylesbeare and surrounding commons. With multiple national and international wildlife designations, this area of rare lowland heath represents one of the most important conservation sites in Europe. The Pebblebed Heaths are a haven for wildlife with over 3000 species recorded including the Dartford Warbler, the Nightjar and the Southern damselfly. You can download more information on the wildlife on the Heaths and information on walking your dog. A large proportion of the site is owned by Clinton Devon Estates and managed by the East Devon Pebblebed Heaths Conservation Trust and the RSPB. Devon Wildlife Trust also own and manage two reserves. Natural England provides guidance on the management and protection of the site.